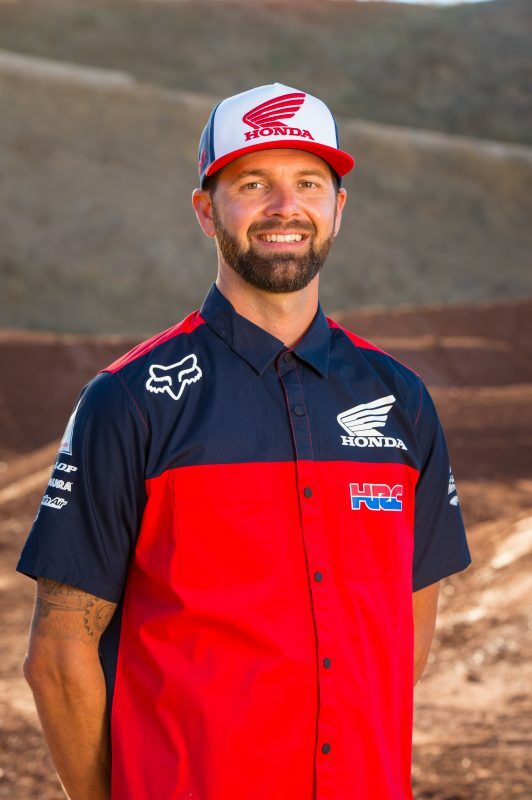 It was a challenging day for Team Honda HRC during round five of the AMA Pro Motocross Series at Tennessee’s Muddy Creek Raceway, as Cole Seely was sidelined following a crash early in moto 1. 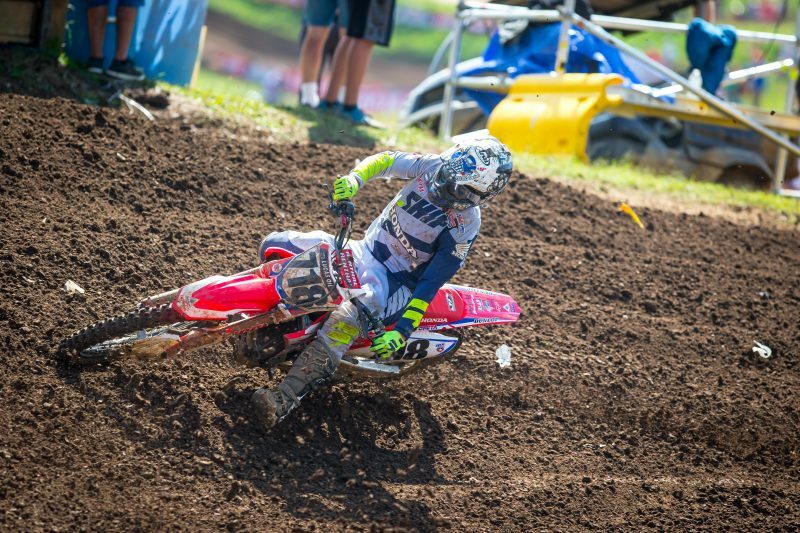 When the gate dropped for the day’s first race, Seely got a good jump off the line but lost momentum up the hill and was shuffled back to nearly 15th around the first turn. The California native worked his way into 10th on the opening lap and continued to charge forward. He and another rider made contact over a jump while battling on lap 3, with Seely ultimately hitting the ground hard. After he was checked out by the Alpinestars Mobile Medical Unit, the team determined it would be best for him to sit out of the second race for precautionary reasons. 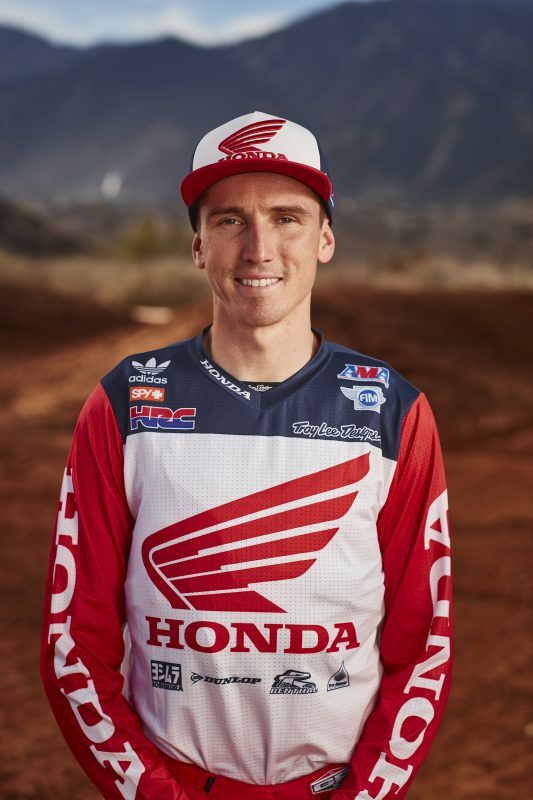 On Friday, Cole Seely and GEICO Honda’s RJ Hampshire, Chase Sexton, and Cameron McAdoo attended a pre-race Motocross party at Atlas Motorsports in Bristol, Tennessee. Hundreds of fans were on hand to get autographs and meet their favorite racers. 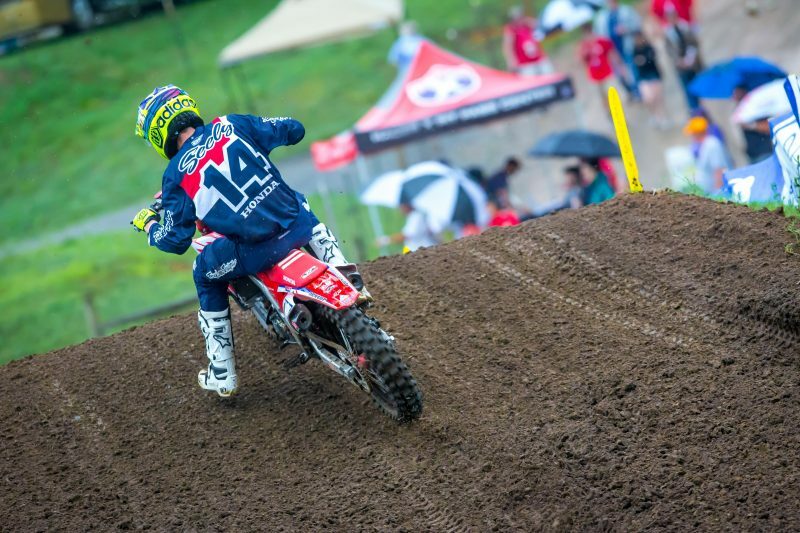 Light rain during the early portions of the day made for slick and muddy track conditions throughout qualifying practice, which proved difficult for Seely as he struggled to get comfortable. 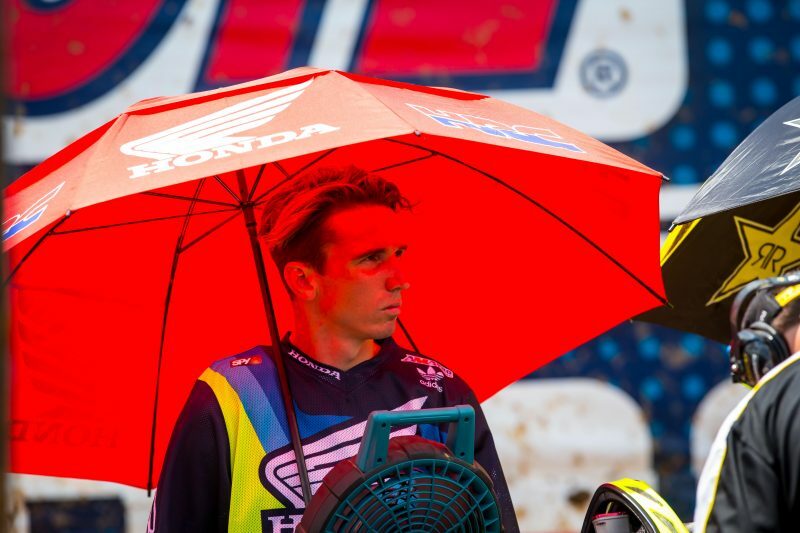 After two sessions, Seely qualified 12th with a 1:54.368 time. 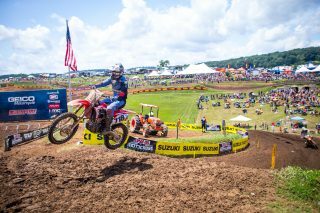 Fredrik Noren, who has ridden for the factory team several times in the past and who now races for the Precision Site Work/TiLube squad, had a decent day in Tennessee. 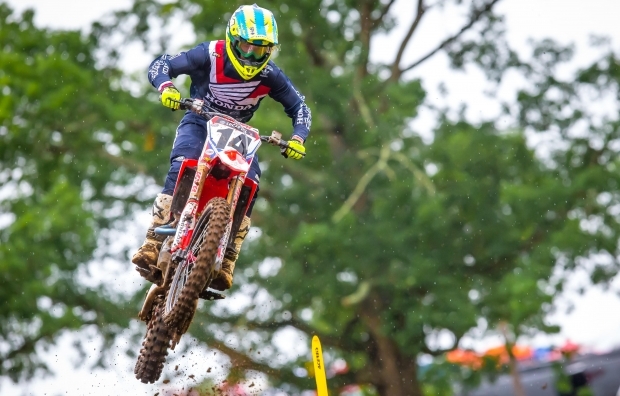 The Swede secured a creditable 12th-overall result aboard his CRF450R via 13-8 marks in the motos. With Christian Craig missing the event to recover from injuries, and Cole Seely’s moto-one crash preventing him from scoring points on the weekend, the Tennessee round was undeniably frustrating for Team Honda HRC. That said, the squad did have a bright spot at Muddy Creek, with Toshiki Tomita notching his best round of the series thus far. 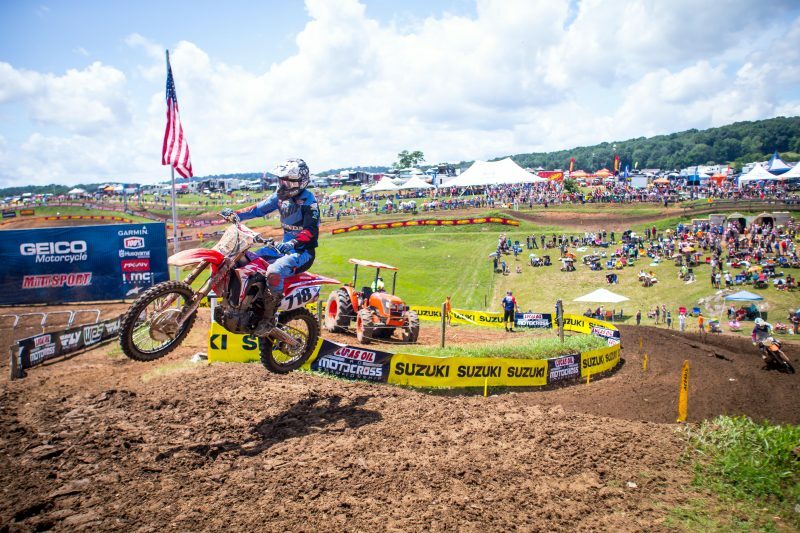 Tomita came close to achieving that goal in Tennessee with his 16th-place finish in the second moto, a result that combined with an 18th-place moto-one showing to put him 17th overall. Tomita also advanced four positions in the points standings to 24th. I’m bummed how today ended because I was feeling good before I crashed. It was early in the race but I definitely had more to give and think I could have kept working my way forward. 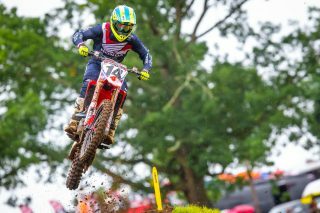 I had a good jump out of the gate off the start but shifted into third and lost all my momentum because it was so deep. 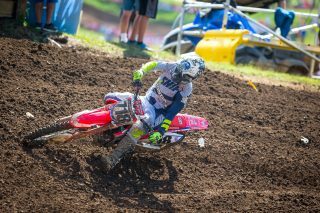 A few laps later, while I was battling with Cooper [Webb], we came together over a jump and hit. Unfortunately, I got the worst of it and went down hard. 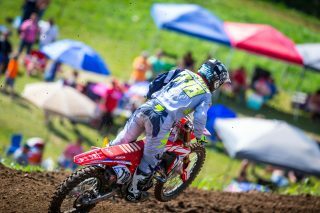 I got checked out by Alpinestars and the team, and I decided it was best to sit out the second race. I feel bad for Cole today. 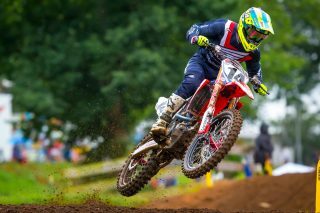 He struggled to get comfortable and find a good pace in qualifying but was riding well during the race before he went down. I didn’t see the crash but it didn’t sound good over the radio, so I’m happy he’s walking away unharmed for the most part.